Introducing Flora the Unicorn! A magical gift for someone special. 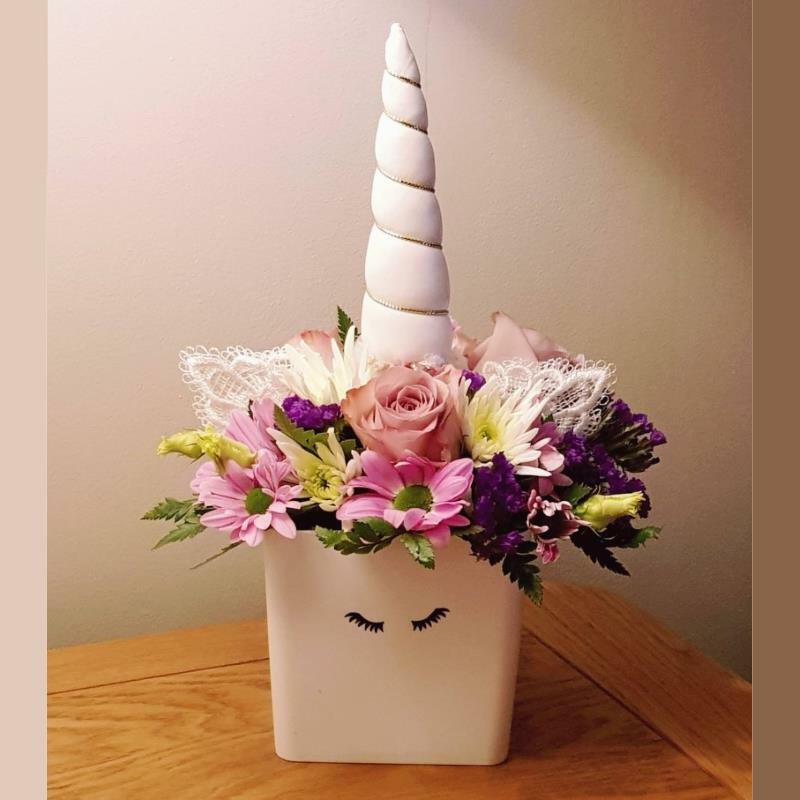 A fun flower arrangement for those who are obsessed with Unicorns! Presented in a white container the flowers can be any colour to suit the recipient's style!